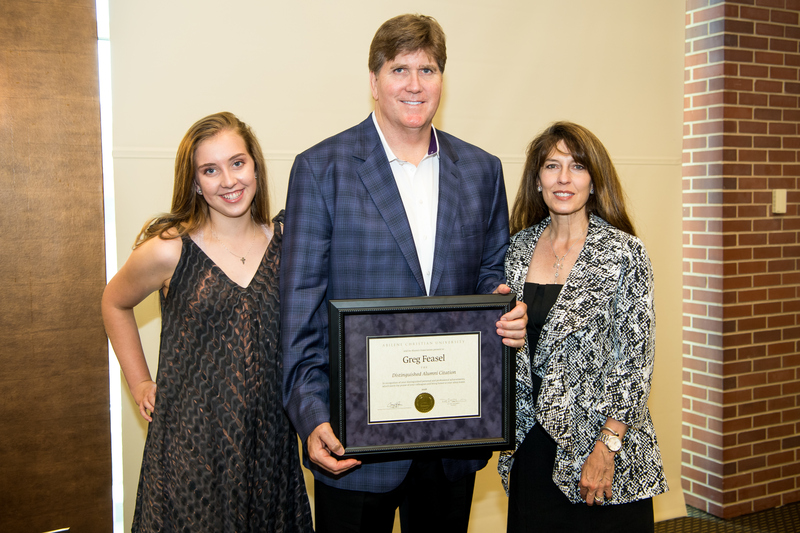 Greg Feasel ('81) is joined by wife, Lynn, and daughter, Zoie, at his Distinguished Alumni Citation ceremony on Aug. 10, 2018, in Denver, Colorado. A group of ACU staff and alumni traveled to Denver, Colorado, in August to celebrate Greg Feasel (’81) receiving a Distinguished Alumni Citation. They gathered with friends and colleagues of Feasel’s at Coors Field, home to the Colorado Rockies Baseball Club, where Feasel serves as chief operating officer. Guests celebrated not only Feasel’s successes, but the journey he has taken to achieve them. Feasel would play for the Wildcats’ 1977 NAIA Division I national championship and earn All-America honors in 1979. He played football professionally from 1983-87, and his career covered stints with the Green Bay Packers and San Diego Chargers of the NFL and the Denver Gold in the United States Football League. He soon began working for Coca-Cola Enterprises 1988 and in a few short years worked his way through the ranks to become division director of sales and marketing for the state of Colorado. In 1991, Feasel helped cultivate a partnership between the company and the Colorado Rockies, and in 1996, he joined the club as vice president of sales and marketing. Feasel is now entering his 23rd year with the franchise, and eighth as chief operating officer. 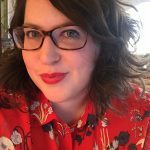 Click here to read more about Feasel, and click here to read profiles of past Distinguished Alumni Citation and other alumni award recipients.